We usually take Easter pictures before Church on Easter Sunday and it usually results in a very frustrated me. 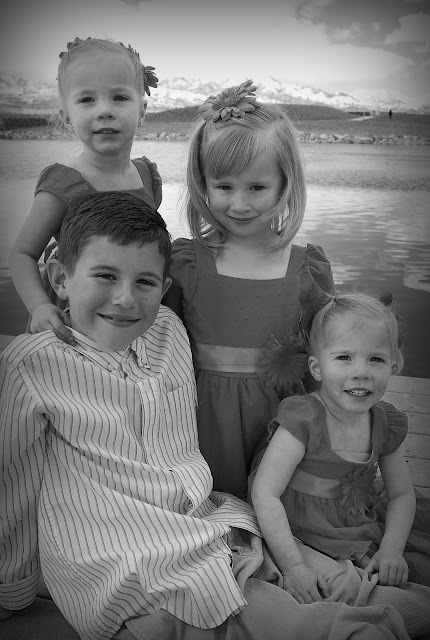 We are no doubt in a hurry and lets face it, taking the perfect picture of all four of my kids is no fun and easy task. Aaron usually dreads when I say, "picture time". Not this year ladies and gentlemen. 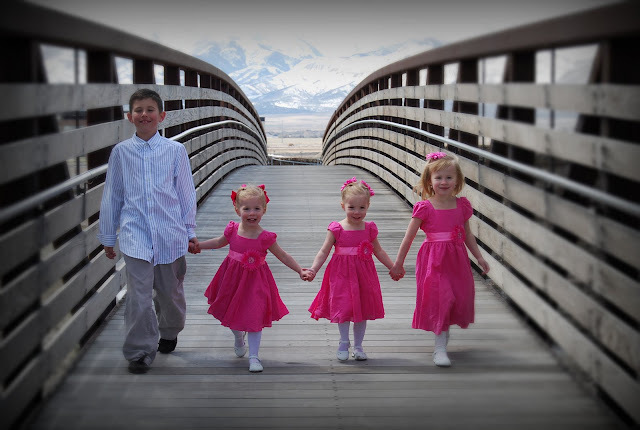 Since we were home all day watching conference we thought a Sunday drive would be nice so I threw the kids Easter clothes on and we headed out with my camera. I am so very happy to say that next Sunday we do not have to take pictures. Aaron will be thrilled. 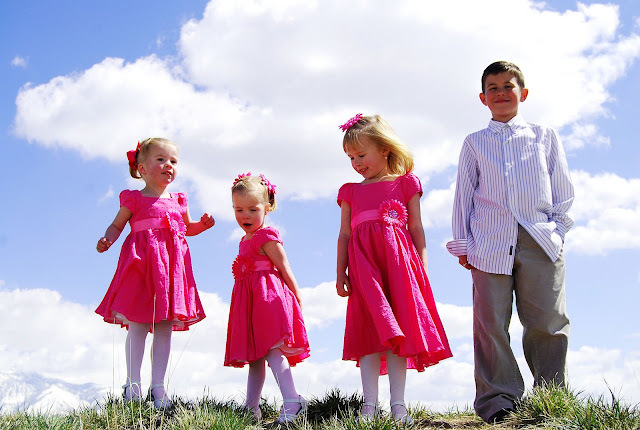 If you don't want to mess with Sunday morning Easter picture taking, I am offering to take Easter photos of all your kids or your whole family for a very low price. You will get an hour of picture taking, a couple hours of editing and a cd with all images on it for $35.00. My prices will continue to go up once I feel more confident with my skills, take more classes, read more books and get more equipment. I think this is a great deal for both of us, I get to continue learning and practicing and you get a great price. I'll pay DOUBLE if you, Aileen and Katie put on matching dresses and Jeff a coordinating tie and show up here next Saturday! I want to take you up on this offer. Those pics are awesome and I'm with you...I always get super frustrated taking pics of my boys. So email me and lets figure out a day/time that will work. $35!? You crazy girl. People are going to beat down your door. I offer that, plus the cost of a plane ticket for you to come do them in CA. STILL a steal! I love these! I totally want you take our pics! Jane I'm SO impressed!! I want in! Let me figure out my schedule, get Easter outfits (What? I procrastinate! ), and I'll give you a call. 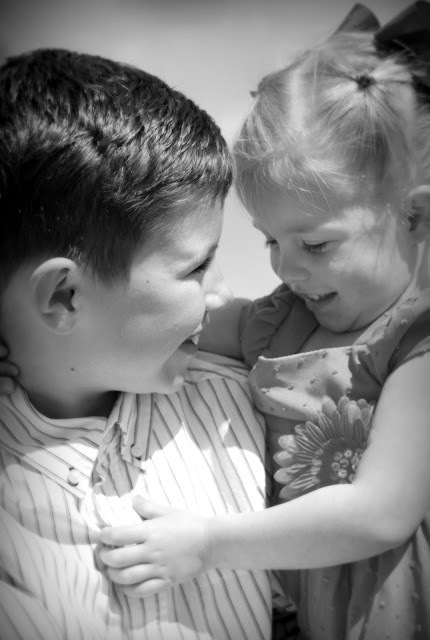 Oh these pictures of your kids are darling. Good job on your photography! I'm jealous you don't have to round them up next Sunday morning! That is never any fun. Jane, SOOO BEAUTIFUL! You are so humble...honestly you have talents that most of us would love to have (photography being one). Another talent is your sweet and caring personality. You're so genuinely kind. Anyways...can you take our family pictures some time at the end of April. I will pay more than $35.00 for all your hard work. Oh, I wish I lived in UT. I love your pictures!! the second and fourth ones are my fav!!! And why did I not know I could hire you before I paid almost seven times that amount??? Really Jane. :) I noticed your comment on her blog and you are just as talented as the pros!!!!!! 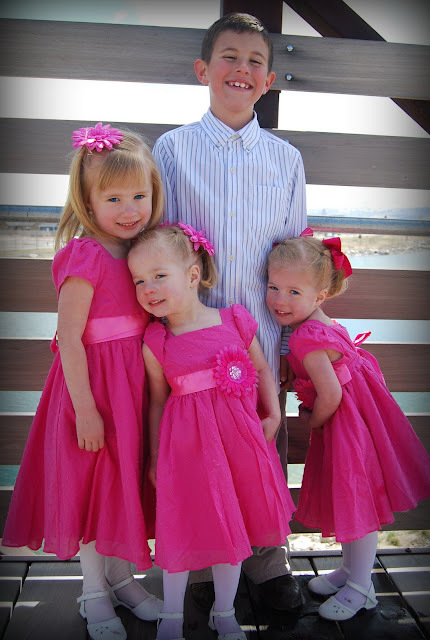 I would like to be able to "throw" on Bella's easter clothes and have her look as adorable as all four of your kids! Beautiful photography Jane! Amazing pictures! What darling kids. Thanks for your help at Kindergarten Orientation. Mary and I did change our 1st track preference to D. Now I am just praying that I get it. Dang, I really missed out at the Dress Party! 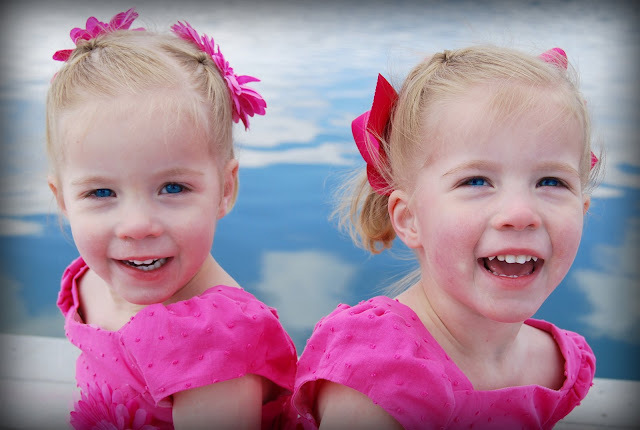 Those pink dresses are absolutely adorable! I LOVE your pictures! 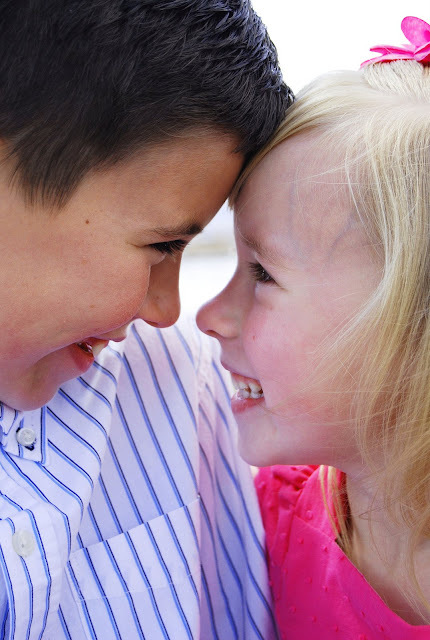 How do you get your kids to be happy and cooperate? Mine are always so ornery and grumpy when I try to take their picture. You're amazing. I'm going to give you a call! Those pictures are amazing! You are so good! I would love for you to take our pictures...I'll give you a call! As Jeff has said "Whoa! That's a smokin' deal!" I'm excited for our shoot tomorrow! Your photos are darling! Jane you do such an amazing job!!! I wish we lived closer so you could snap some of our fam..I'm always up for some good pics! You MUST raise your prices though!!! You children are absolutely ADORABLE!!! Jane count us in...Well at least Aniston for some pictures!!!! We just have to get her feeling better. I love the pics you do! Sign me up Jane! Your kids are so darling. I love those dresses. You meant 35 HUNDRED dollars, right? Daybreak...what a great place to take pictures. Your kids are so cute. Good photo taking, and you should be a pro. I would love to have to take photo's of us, you are so talented. If we haven't missed the boat we would like to take you up on your offer too.